Dr. Durgesh Thaker always appreciates feedback from his valued patients. To date, we’re thrilled to have collected 9 reviews with an average rating of 4.67 out of 5 stars. Please read what others are saying about Dr. Durgesh Thaker below, and as always, we would love to collect your feedback. 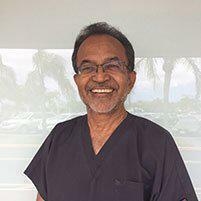 Dr. Thaker was knowlegeable and efficient. Ive had other dentists deliver high priced treatment plans that i refused. Good thing or i would have been throwing money away on crown replacements that arent needed. Dr. Thaker prioritizes based on patient needs not his own. Definately need more Drs. Like him! Today was a great experience in Dr Thaker’s office. Unusually a little late for my appointment I was professionally & cordially greeted. The dental service was excellent. Dr Thaker was gentle Thus lowering my anxiety level. The assistant who polished was careful to attend to each tooth. Exiting...the front desk was all ready to check me out. Great experience all around. Thank You guys. Blessings for the Christmas season. Front receptionist is very friendly and so efficient. Dr. Thaker is great. Took care of my emergent visit without having to wait. Office is clean and assistant is efficient. Thank you.